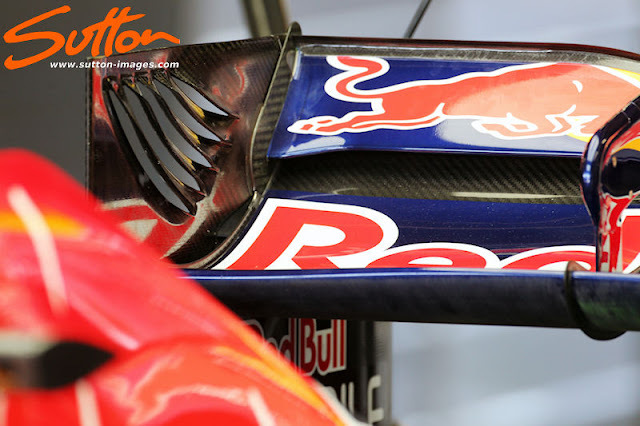 Red Bull RB8 RW-DDRS Plausible Downforce Enhancment & Drag Reduction? 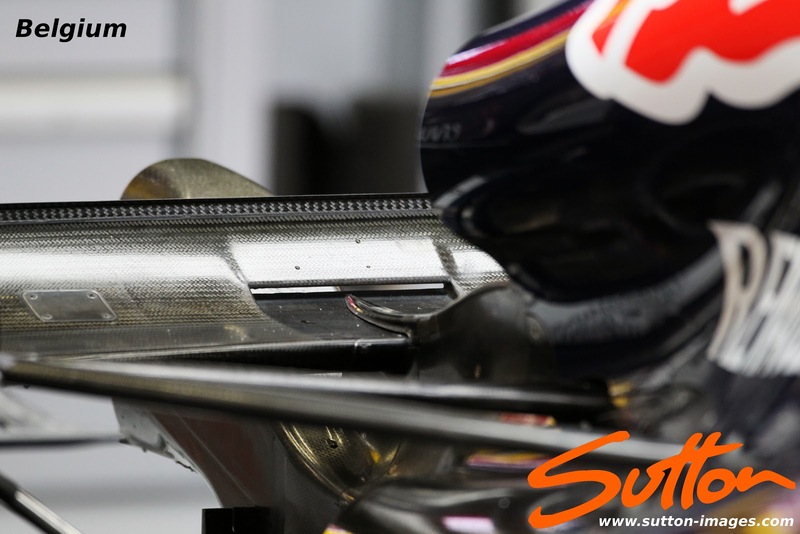 Red Bull managed to test (At Monza) and use at Singapore a DDRS system that went unnoticed by most of the paddock and us technical writers too. It was AMuS the German publication that brought the system to the attention of the world prior to Suzuka. As always getting the shots of such a system can be elusive but thanks to the brilliance of Sutton Images the purpose of the system becomes a little clearer. 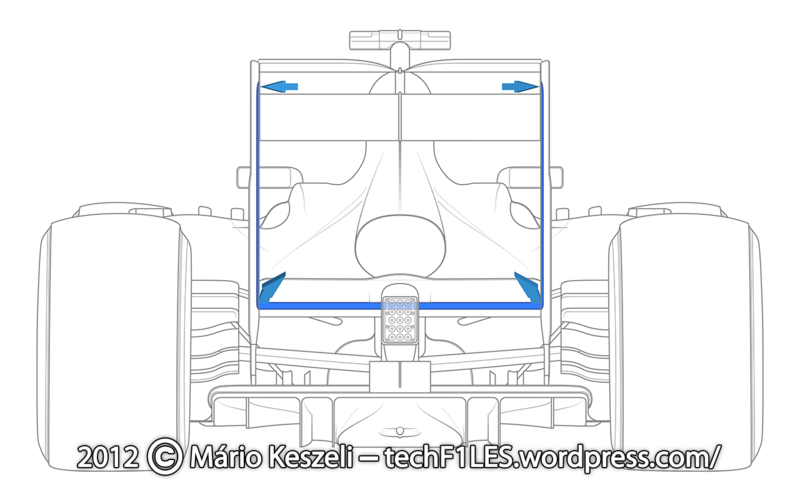 Any attempts by other teams to converge on DDRS this late in the season will most likely centre around the Rear Wing (RW-DDRS), as understanding, testing and packaging FW-DDRS (Front Wing Double DRS) is really a lost cause especially as such devices will be banned in 2013. 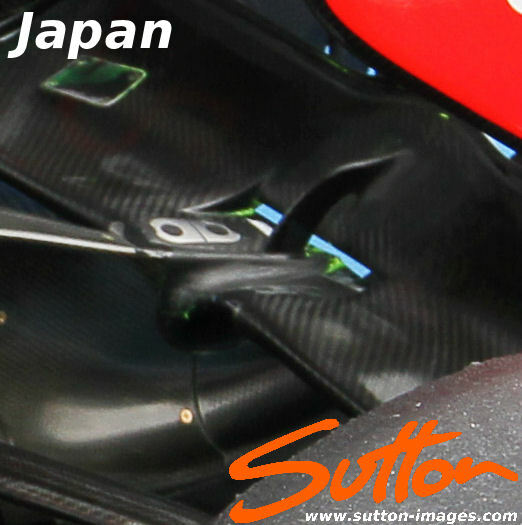 At Suzuka, Sutton Images got us all the picture we needed to see which is when the Top Flap is activated for DRS hollow sections in the Endplate are exposed. 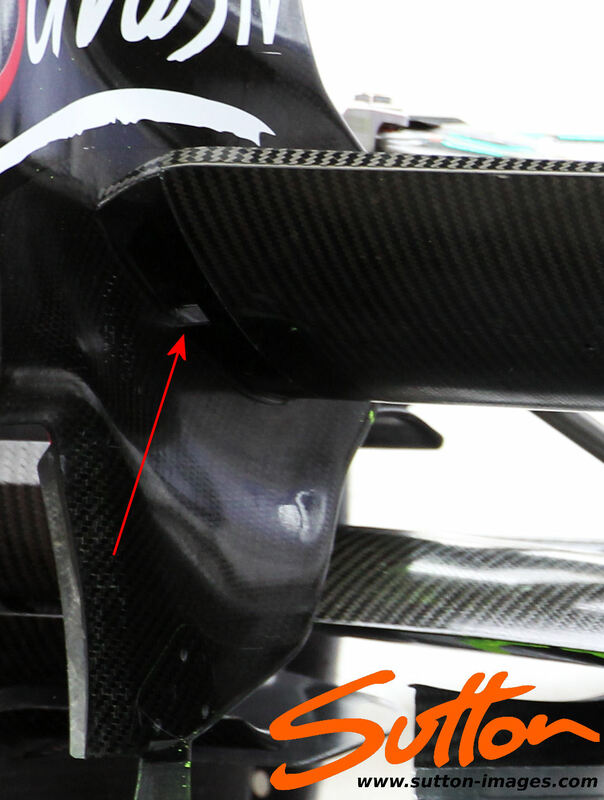 However in Korea a better shot became available which shows a much smaller hole appears when DRS is active. So what is the secondary function that DRS is controlling? 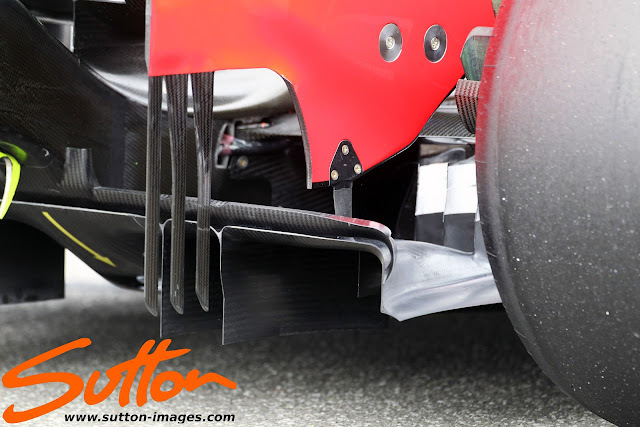 As anyone that follows my blog will know I'm a firm believer that when teams use these sorts of devices / systems they aren't simply for Drag Reduction but will also gain downforce. To this end I had/have been looking for proof around the Beam Wing and Mainplane as these would offer the best place to gain from a blown section. I've also gone back through pictures of these area's before the RW-DDRS was installed on the RB8 in order to further ascertain the purpose of it. The Beam Wing is much more intricate than it's predecessors as it cambers towards the central section which has a hole in order to draw air from the pressure side to the lower pressure region. The Beam Wings AoA (Angle of Attack) is steeper toward the central portion and since Singapore has featured an arc at the top central 15cm portion in order to gain downforce without complicating the area with a Monkey Seat, a small gurney trim has also been added to the top surface. Under normal circumstances (DRS Closed) the air enters the Beam Wing from the Engine cover and exits behind the Beam Wing at the outer extremities through the 4 ducts. 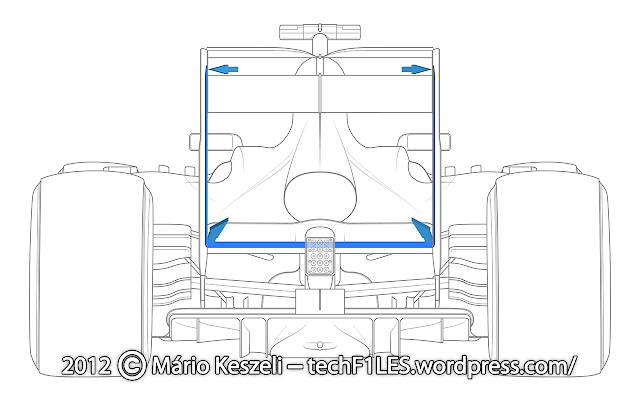 By doing this not only does it help the Beam Wing to create more downforce than it normally would (Blowing the outer edges of the Beam Wing will allow for this much steeper AoA that is sustained by this blown effect) but the airflow also attracts the exhaust plume between the Rear Wing Endplates which helps to 'Seal' the diffuser by promoting more flow through between the Rear Wing Endplates. This may also be the reason why Red Bull have also reduced the length of the Strakes at the rear of the Endplates. Rear Wing Endplate Strakes are used in order to not only manage the rearward airflow but as a by-product will also effect the flow ahead of them. 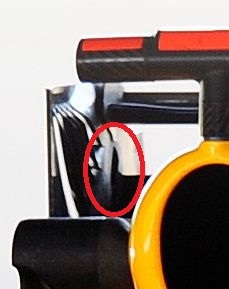 When DRS is active instead of airflow being sent to the rear of Beam Wing it instead passes by the 2 Beam Wing Ducts and draws up the Endplate and exits from the uncovered hole that DRS has exposed. Not only does it reduce downforce as the Beam Wing can no longer sustain it's AoA it also reduces drag in the region. As a by-product normal service is resumed in the case of the exhaust plume and so the diffuser too loses some of it's effectiveness. This is once again my assessment based on the perceived performance gain from Red Bull not only in qualifying trim but also throughout the races RW-DDRS has been used. 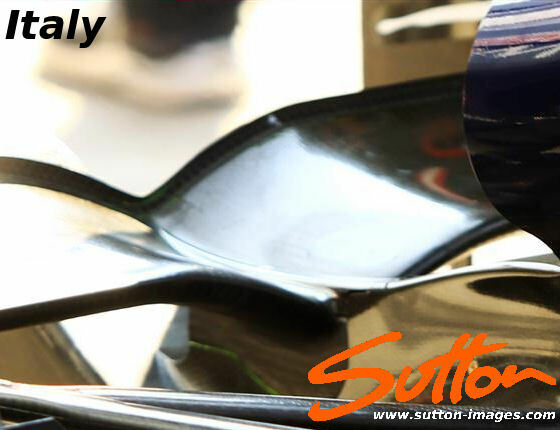 We also have to remember that RW-DDRS is not the singular Silver Bullet and Red Bull have revised many area's including a more complex Front Wing and made Geometry changes to the Rear Suspension. The interesting thing from a 2013 point of view is if I'm right in my assessment of the system the lower section of the system will still be perfectly viable, as only the secondary function of DRS is banned. 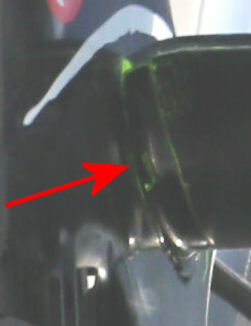 This would mean it's rear downforce enhancement could be carried across to the RB9's design ethos too. Great write up. Do you think the tunnel system will stay on the car for next year? And if so who do you see copying it over Mclaren coanda type? I have an article coming up for Pitlane Magazine (next issue) that looks at 2012 exhausts and discusses the plausible 2013 options too. Hello. My name is Luis. I am Spanish and my English is a little bad. 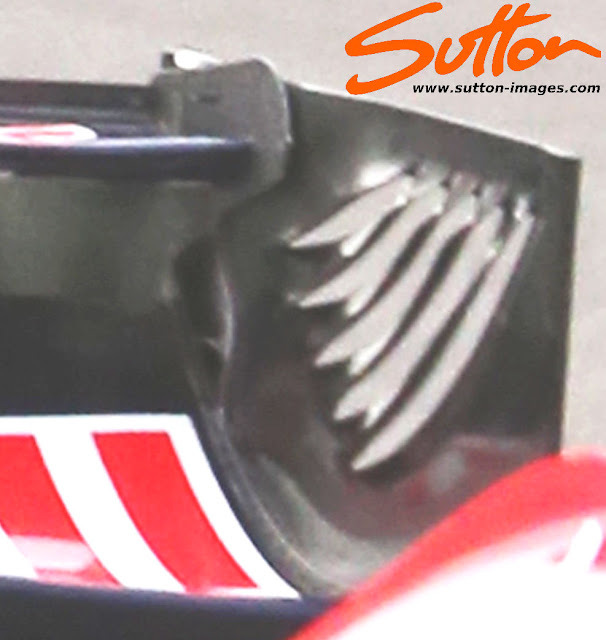 If I have misunderstood you when the DRS is activated the airflow from Engine Cover exits through the holes in the rear wing endplate. This airflow don't exit under the Beam Wing. Then the air flow coming from the engine should be stronger than the airflow would try to enter in these holes. Then, Mario's drawing is not correct, right? Please. Do you could explain it to me using short and simple sentences?. Remember this is a theory based on my understanding of other principles that have been adopted in the past. 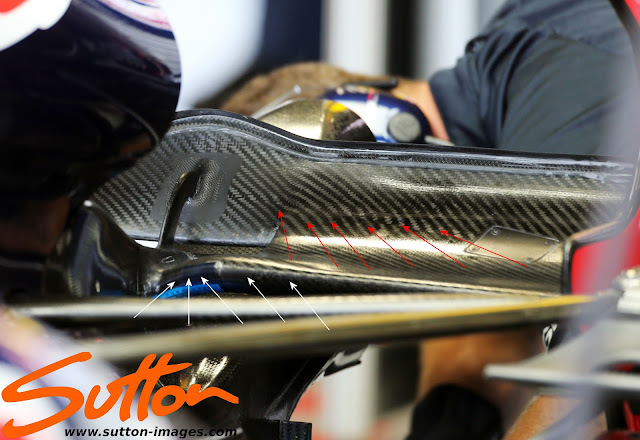 where is the entry of this airflow?, Airbox?, nose? I'm not sure at present Luis but I'd guess the airbox as Red Bull have really maximised the rear packaging to allow for the tunnels.